Do you want to check if your name is now on check.npvn.ng for npower 2019/2020 final list? You can continue to read this guide if you wish to check check your name on npower Nigeria Portal Here. The full advanced guide on how to check your name is here. The list is finally out, the list was released for all to see. so if you would like to know if your name is among the successful candidates, then this guide is what you need now. We will show you how to check your name via npower official portal, and the next steps to follow after checking your name online via npower volunteer network. Below are some of the top questions/Changes npower applicants are facing now. 1 Can i check npower 2019/2020 final list via Npower Volunteer Network (Npvn.npower.gov.ng)? 2 Is Npower list 2019/2020 employment posting list out for all states? 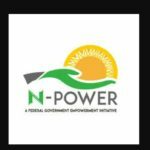 Can i check npower 2019/2020 final list via Npower Volunteer Network (Npvn.npower.gov.ng)? You can check if you have been shortlisted for employment when you visit npower volunteer network website. you can visit the portal from here npvn.npower.gov.ng. Is Npower list 2019/2020 employment posting list out for all states? Yes, the list is out for all States. You can login to npower volunteer network to check if your state list out or not. 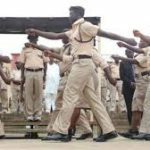 Below are lists of all the states that applied for npoer recruitment in 2017. Keep an eye on the portal okay for note news. You can comment your state name below if you haven’t seen your on the list. Well As For Me I Register 2018/2019 N-power But I Don’t Know The Next Step. Pls sir or madam, I have been deployed and have started working since but up till now, I have not been paid, even my profile page is still showing onboarded. Pls you people should enroll so that I can be paid just like my colleagues. Thanks. sir i didn’t see alart. what is d problem. Please Sir, I was asked to reupload my deployment letter with clear stamp, and I have done it already, but up to now it hast not been checked from the head quarter. please Sir, help me and check it. nge my status to enroll what happened.? Although I have collected the posting letter, am not able asses the website and upload my posting letter till today. What am I to do next? 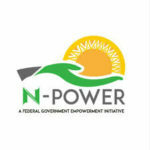 Is n-power job form is out in adamawa state? Thank God for a successful posting n also reporting to duty. Anambra, please how do I go about this deployment letter stuff. Its telling me to upload my deployment letter, please send to my email. I DID NOT RECEIVE ANY CONGRATULATORY MESSAGE SO WHAT SHOULD I DO NEXT? I did my physical verification but did not get any congratulatory message, I don’t know what to next. Please help me sir. Am in Lagos. Pls I want to know whether I have been shortlisted? Pls sir I want to know when Cross River state will start posting thanks. God wil help us all in Jesus name amennnnn. But pls sir i want to see my name under Nasarawa st. Thnks u sir. Pls i did a physical verification and i did not see any message, i also want to check through OTP code is not functioning on my phone. Please help me out, God will favour you. I want to validate my profile but the OTP sent to me from npower to confirm my validation is not working.. Any time i insert it, it tells me OTP validation failed……. I don’t know what is the problem. Please i need a solution or answer. what next after uploading the passport and id card? when did npower will to pay the stipent month sallary? Have been trying to login but I can’t, what do I do sir? Good day sir,I received a congratulatory message, what do I do sir? Pls sir, i have recieve a congratratory message. What do i do next. I have successfuly verified but it has said I don’t have any device selection history. mean I don’t have any device ? We did not ondistan how to log in. Because of the network. how can’t we go about it? I didn’t see SMS during verification but I saw my name in our LGA, so I equally did verification. And the same now, I didn’t received SMS please is there possibility to me? Delta state, please sir, when are we going fatal the date sir. Please I registered under n_power agro.I was sent a text to attend physical verification. Hence, I am yet to receive a congratulatory message. I can’t login in.. The OPT is not validating.. Please is anyone having the same issues? BAYELSA STATE, L G A KOLGA. Did i among beneficiaries in Benue state? I HOPE WE WOULD BE POSTED DIS NEW TERM. GOD BLESS NIGERIA. GOD BLESS BUHARI. Oyo state. I did Physical Verification at Ido Local Government.